Golf GPS Watch is a terrific gadget to help golfers take accurate yardage reading, avoid hazards to lower their scores with better shot selection and thus play your game with a greater degree of precision and skill than usual. An apt golfing accessory to take advantage of modern technology, buying a golf GPS watch can be your best bet to enhance your skills at golf. The golf GPS watch reviews for 2019 are aimed at providing you with in-depth analysis regarding what the market has to offer, as well as the pros and the cons associated with every watch. To know more about our recommendations, read on. The Garmin S60 is a golf GPS watch that is characterized by impressive technology. It offers you patented accuracy as well as new multi-sport functionality with most of its features being unrivaled by its competitors. Garmin no doubt ranks among the most supreme of golf GPS watch manufacturers, and if the stiff price of the product does not affect you, you will definitely have everything that you need off and on the golf course. The Garmin S60 is capable of displaying yardage up to all the hazards, doglegs and layups on the golf course. It comes with a clear colored touch screen which enables you to spot all the hazards pretty easily. The yardages can be narrowed down by you to exact numbers, keeping you from engaging in any kind of guess work. If you are taking part in a golfing game for the first time ever, such technology can prove to be extremely useful for you. The flagstick is something that you can move rather easily to just about any location with the help of a Garmin golf GPS watch. You thus get exact yardages to any shelf, ridge or any other portion of the golfing green. You will also be able to dial in accurate yardage from various blind positions with the help of such a feature. 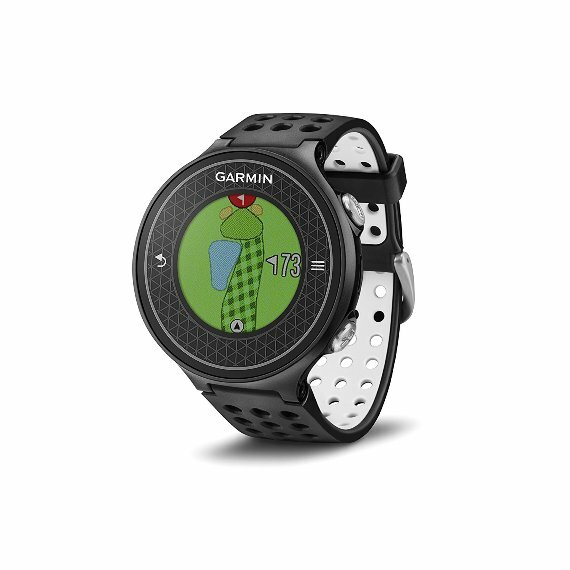 Downloading golf watch updates or courses to this golf watch is something that the Garmin S60 allows you to do in a smooth and hassle free manner. This is a golf watch that is capable of detecting courses once you enter into golf mode. The Garmin S60 golf GPS watch comes with a beautiful screen that is crystal clear in appearance. Being frustrated by the terrible functionality of the golf watch screen is a problem that you will never be faced with when using this product. This golf GPS watch features a high resolution screen that enables you to view and comprehend it rather easily even when looking at it in bright sunlight. A highly durable battery life is something that a golf GPS watch like the Garmin S60 certainly boasts of. The watch can be used for as long as ten hours at a stretch in GPS mode and for as many as ten days at a stretch when operating in smart mode without requiring a recharge. The Garmin S60 is a golf GPS watch whose bands can be changed rather easily. While there are many changeable watchbands that you can choose from as far as this product is concerned, you can also switch rather conveniently between leather and silicon watch bands. Club path analysis and the determination of swing speed are two other important features of the Garmin S60. You can figure out the swing speed with different clubs without having to visit a golf store or a golf trainer for this purpose. Your golf score is what you can record and keep in this golf watch itself. There is no need for carrying around a scorecard when you have the Garmin S60 in your possession. This is also a golf GPS watch that can be easily connected by Bluetooth and can display emails, phone alerts, text messages, song selections etc once it has been connected to Bluetooth. golf watch reviews 2015 . You can definitely create a style statement when wearing it, irrespective of whether you are wearing gym shorts, a suit or jeans for that matter. The Garmin S60 is definitely a product that is worth owning due to its excellent high resolution and crystal clear screen, Bluetooth connectivity feature, and its ability to keep score electronically. The Fenix 5 golf GPS watch by Garmin is also a product that is makes for a worthy purchase. This is a device that is characterized by an amazing battery life and is awesome to look at too, letting you turn quite a few heads when you wear it out on the golfing greens. High accuracy yardage and the ability to keep electronic scores are some of the other impressive features of this golf GPS watch. To know more about these features, read on. 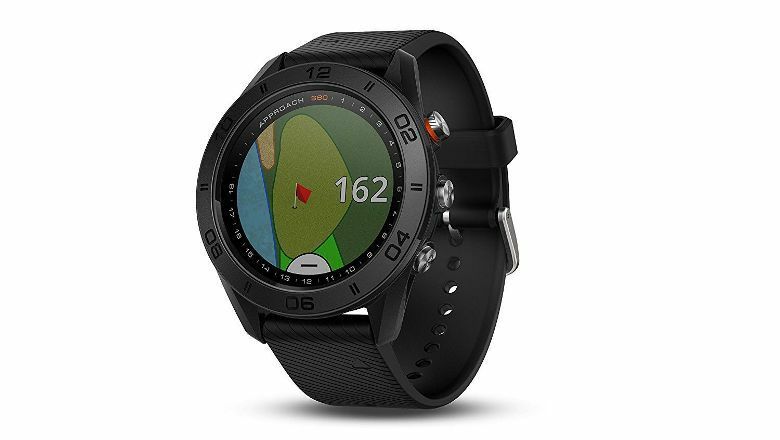 The Fenix 5 is a golf GPS watch that displays yardage with a great degree of accuracy and clarity. The clear colored screen that comes with this golf GPS watch allows you to locate potential spaces on the golfing greens that may be of interest. 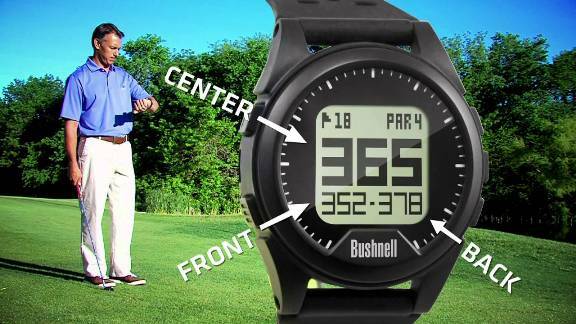 This is also a watch that makes it possible for you to use the screen in order to move the flag stick to just about any and every part of the golf course. If you are looking to be chipping and pitching around on the greens, then this is a great watch for you to own, certainly a worthy and reasonable alternative to a good rangefinder. This is a golf GPS watch that comes preloaded with as many as forty thousand golf courses. All you need to do is recharge this watch, take it to the golf course with you and immediately start playing. 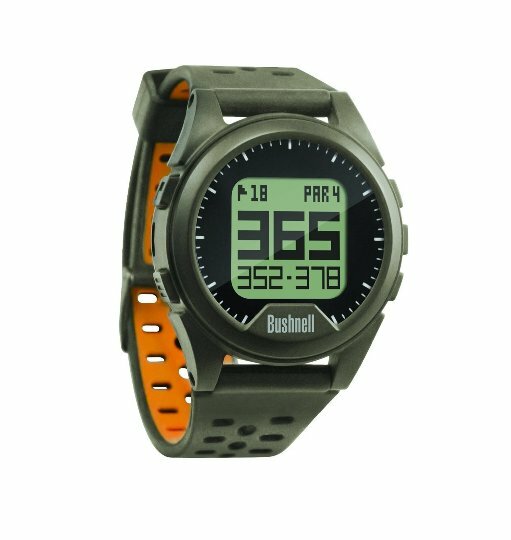 The GPS technology of this golf rangefinder watch is one that is well suited for hard and mountainous terrain. It tracks faster and with a higher level of accuracy compared to most other golf GPS watches that are available in the market. A strong battery life is what the Fenix 5 is definitely known for. The watch can last for as long as twenty hours when in the GPS mode, for about thirty five hours when in battery saver mode and for as long as nine days when in smart mode. The watchbands are easily changeable as far as the Garmin Fenix 5 is concerned. You can choose from among silicon, leather and metal watchbands for any and every occasion. The watch is hugely versatile in terms of style and appearance and can function both as a play watch and as a work watch. The Garmin Fenix 5 comes with fantastic swing technology. It lets you analyze each and every aspect of your golf swing right from the start to the finish. You can also keep an automatic score and track the progress of your game with the help of this GPS watch. 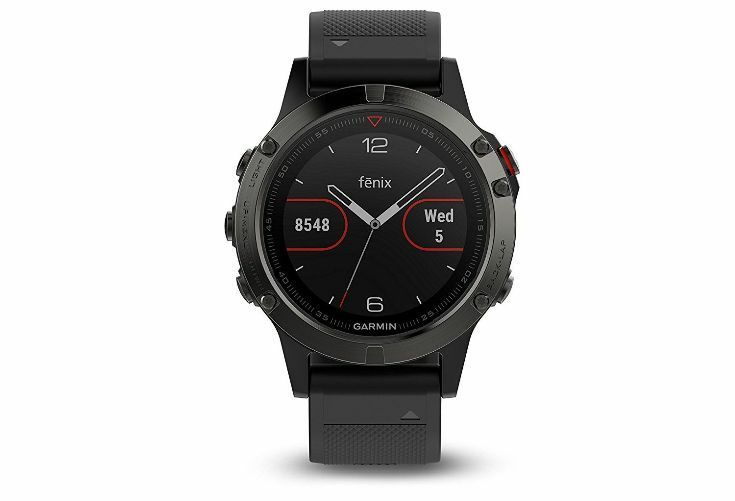 The Garmin Fenix 5 is characterized by excellent Bluetooth connectivity just like the Garmin S60. You can therefore view emails, text messages and even listen to songs rather easily with it. The Garmin Fenix 5 features an in-built altimeter and that is capable of measuring elevation and a built in compass. It is also water resistant for up to as much as 100 meters. The Garmin Fenix 5 is one of the best GPS watches for golf to own. It has a great battery life, awesome GPS technology that lets you play your game of golf with great accuracy and convenience and even enables you to keep score without having to carry around an actual physical scorecard for this purpose. 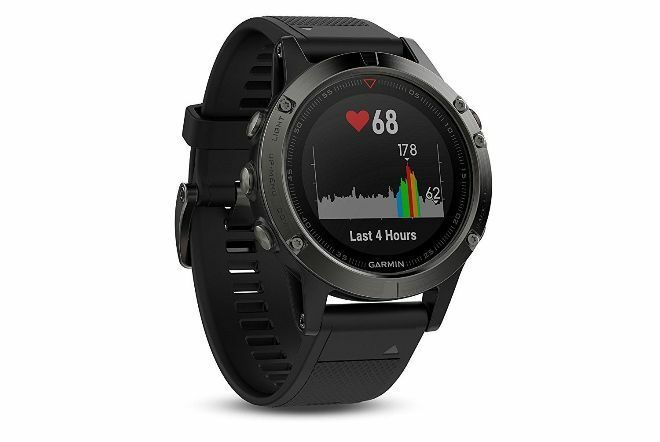 The Garmin S6 is definitely one of the best-selling GPS watches in 2019. If a colored touch screen GPS watch is what you have been craving for, then this is the right product for you to buy. The Garmin S6 provides you with amazing yardage and is characterized by very good battery life as well. It is a strong and durable golf GPS watch and you can expect to use it over a considerable period of time before it begins to show signs of wear and tear. 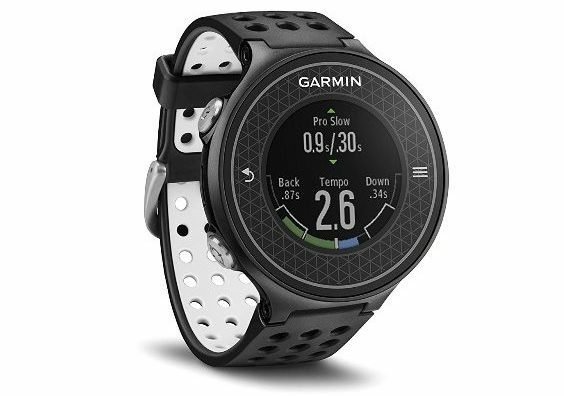 The Garmin S6 is a watch that is capable of displaying yardage up to all doglegs and positions on the golf course. Spotting all hazards is something that you can do with ease by using the touch screen feature of this watch, while measuring yardage up to just about any type of hazard that may exist on the golf course. You can move the pin to precise locations on the golf course rather easily by using the large touch screen that comes with this golf GPS watch. You simply need to drag the pin to precise and exact locations on the golfing green to take advantage of such a feature. The Garmin S6 is a golf GPS watch that is preloaded with as many as 40,000 golf courses from all around the world. You don’t need to download a course or subscribe online to access this particular feature. The golf watch face is characterized by a user friendly interface and allows you to see all types of yardages and hazards on the golf without making you feel like you have an overloaded computer on your wrist. The Garmin S6 comes with a battery that can last for as long as twenty hours in watch mode and for up to ten hours in GPS mode. You don’t have to keep charging it every now and then in order to be able to use it for long hours at a stretch. The swing metrics function of this particular watch is definitely impressive. The three types of swing metrics that are made available to you by the Garmin S6 are swing strength, tempo training and swing tempo. When you have a golf GPS watch like the Garmin S6 in your possession you can keep your golf score in this watch itself. There will be no need for you to carry a pencil and a small notebook around with you when you own such a watch. The Garmin S6 is also characterized by fantastic Bluetooth connectivity. As a result, you can expect to get text alerts, email messages and other important notifications quite easily in your golf GPS watch when out in a remote location like the golfing greens. You don’t have to feel isolated from humanity out on the golf course if you wear this golf GPS watch. The Garmin S6 is definitely one of the most athletic looking of golf GPS watches. It has a futuristic feel to it as well and is also light in weight, so it can be worn with a business suit or a casual outfit both. The Garmin S6 is user friendly, durable and well designed golf GPS watch making it ideal for being owned by golfers of every age group. It lasts for several years without going bust and makes life far easier for you on the golf course by giving you excellent Bluetooth connectivity, thousands of preloaded golf courses and an automatic scorecard with which to keep track of your progress. The Bushnell Neo-ION GPS watch is one of the most efficient and productive golf GPS watches in the market. It comes at a very competitive price and while it is definitely not like any of the golf GPS watches that belong to the Garmin series, it is easy to use and as a fair number of impressive features. If you don’t mind the watch face being too large in size and if you don’t want to spend too much money on the purchase of any golf GPS watch either, then this would be the perfect product for you to own. The Bushnell Neo-ION displays up to as many as four types of hazards or layups per hole. If you are looking to play with some aggressive golfing peers out on the course, then this golf GPS watch will give you exactly what you need. This is also a golf watch that comes preloaded with as many as 35,000 golf courses. You don’t need to subscribe or acquire a membership of any kind in order to use or access any of these golf courses neither do you need to download them. The Bushnell Neo-ION comes with a relatively large watch face, making it easy for you to read the different yardages on the golfing greens, in addition to other golf course features. While it is expansive in appearance, it does not feel bulky and will certainly cause any botheration at all when you engage in its use. The Bushnell Neo-ION has a battery that can last for as long as 16 hours on just a single charge. It also does not take longer than two and a half hours in order to be fully recharged, thus adding plenty of efficiency to your golfing game. The short distance calculator feature of the Bushnell Neo-Ion watch is certainly laudable. You can become a highly consistent golfer over time by learning how far it is that you have managed to hit the golf ball, with the help of this feature. The Bushnell Neo-ION comes with numerous other exciting features that you will not be likely to find in other watches that are so competitively priced. This is a water resistant watch and has an odometer as well. An exciting additional feature of the Bushnell Neo-ION is that it comes with a warranty that is valid for as long as one year. You can get the watch repaired entirely for free within this stipulated period of time. Since the Bushnell Neo-ION is a watch that has a rather athletic appearance, it is best worn with sports garments or a casual outfit. You will not look good by wearing this with a formal suit. The Bushnell Neo-ION watch is one of the most interesting and affordably priced golf GPS watch products in the market. 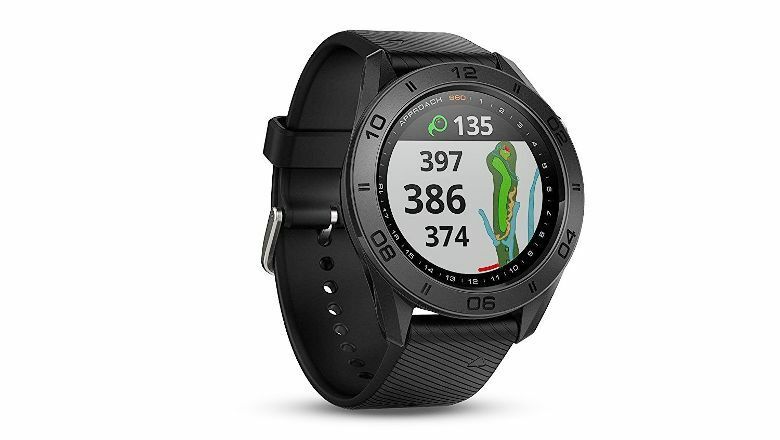 This is a golf GPS watch that is rather easy to read and to use and it comes with numerous pre-loaded golf courses and gives you good yardage when you play your game. It is also water proof and the battery life is really good, allowing you to use it for several hours on end without wearing down easily. It is true that the Bushnell Neo-ION lacks impressive features like swing technology and a digital scorecard. But the fact that it is modestly priced and that it still gives you most of the other features that the well known golf GPS watches in the market do, makes it a product that is worth purchasing if you are looking to improve your golfing game. It is highly accurate and its short distance calculator is one feature that certainly makes life rather easy for you out on the golf course. The Garmin X40 is a fantastic new golf GPS watch that is certainly worth owning due to its sleek and very athletic design. If color screen technology doesn’t do much for you in terms of appeal, then opting for this particular golf GPS watch can be a good idea. The Garmin X50 is an interesting watch as it is small in size but is characterized by a sufficient number of helpful features that make it a highly useful product for you to own when looking to improve your game out on the golf course. The hazard yardage feature of the Garmin X40 is definitely quite notable. By making use of such a feature you can easily end up spotting all potential hazards on the golfing greens. You can also end up measuring the distance to any part of portion of the hazard with the help of the hazard yardage feature of the Garmin X40. The Garmin X40 is a golf GPS watch that comes with as many as 40,000 preloaded golf courses. You don’t need to subscribe to any kind of membership or subscription plan in order to access these courses. All you need to do is simply charge up your Garmin X40 golf GPS watch and head right over to the desired golf course. While the Garmin X40 watch face is relatively small in size, it doesn’t hamper your game in any way. The golf watch face comes with a sunlight readable screen, letting you monitor your golf activity using it without causing any kind of hindrance. What makes the Garmin X40 a golf GPS watch that is really worth owning is its Green View display feature. By making use of such a feature you can actually identify the shape as well as the contours of the golf green when playing every hole on the golf course. The pin can moved to exact yardages on different parts of the green. Wedges can also be pitched to the flag stick, enabling you to find out how exactly the golf ball is likely to roll over on the golf green without having to walk up to the green prior to making a pitch, just like professional golfers do. The Garmin X40 is characterized by a light and thin watch band. If you have reservations about playing with a golf club while wearing a watch at the same time then you can let these reservations go. The thin watch band will not cause the device to bear down heavily on your wrist while you play your game. This is also a watch that is water resistant for up to as many as 50 meters, making it safe for you to use it even on a gloomy rainy day. The Garmin X40 is well known for its heart rate and activity tracking feature. This technology enables you to take a good look at the distance that you travel on the golf course, the steps that you take on the course, your heart rate, the calories that you burn as well as the intensity of your golfing activities. The Garmin X40 Golf GPS watch is serviced by a lithium ion battery that is capable of lasting for up to as much as ten hours when in GPS mode. In fact this is a watch that you can wear without having to charge it for as many as three full golf rounds. 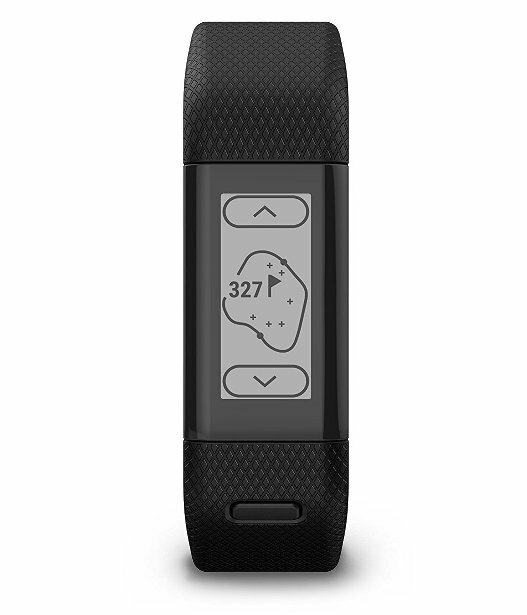 If post round analysis is something you were looking for, you can definitely get this with the Garmin X 40. The auto shot round analyzer allows you to detect shots automatically in the course of the round from the golfing tee to the golfing green, letting you know about the holes that you have struggled on and which are the holes that you have excelled in. The Garmin Connect feature lets you track different golfing rounds, upload your progress on the golf course onto the internet and share these results with the rest of Garmin community. This is also a golf GPS watch that provides you with the scope of keeping track of your scores in your watch itself. The Garmin X40 is characterized by Truswing technology that gives you three dimensional real time animations of your golfing swing. You can thus learn more about how to optimize your game with the help of this feature. Movable pin locations for the purpose of precise yardage. If you are a golfer who has an active lifestyle then the Garmin X40 would be the right product for you to buy. 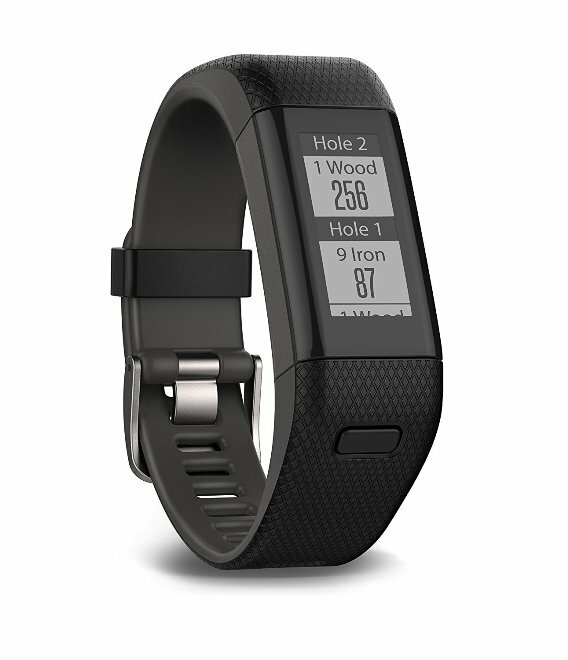 The heart rate monitor and activity tracker lets you monitor your physical activities out on the golf course, the excellent battery life lets you use the watch while playing long hours of golf while the hazard yardage option lets you identify all possible hazards out on the greens. Thus, there are quite a few wonderful golf GPS watches in the market that you can choose from if you want to advance in your game of golf. While the high end GPS watches provide you with a wider range of exciting features like auto shot analysis, truswing technology, heart rate monitor etc, the lower end golf GPS watches are not too bad either and give you enough for you to progress in your game. You need to weigh the pros and cons of every kind of golf GPS watch and determine your budget, before deciding on your final pick. By doing so, you will end up buying the best golf GPS watch that gives you full value for the money you spend.